PAC Asia does not guarantee any Visa outcome. 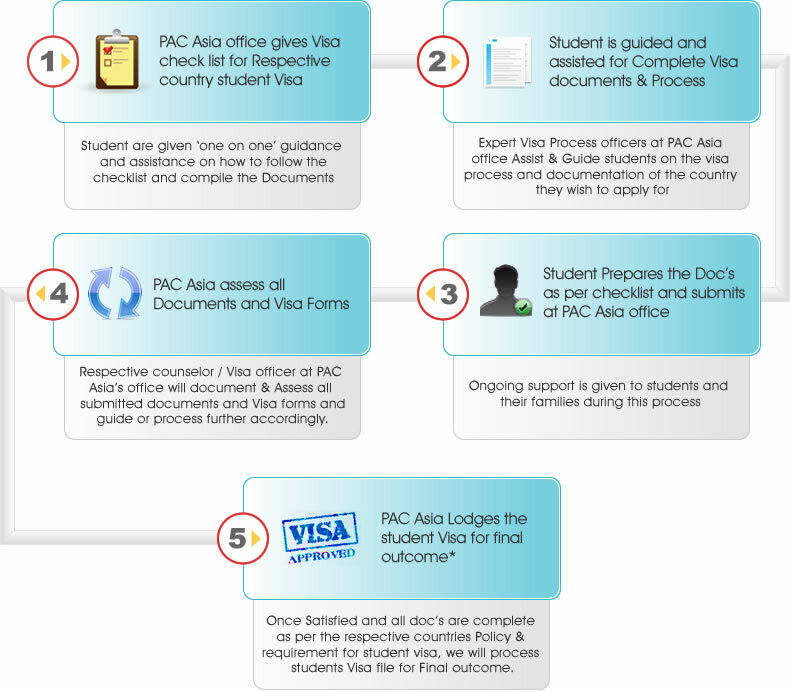 • Visa process and Documentation required for student Visa is different for Different countries. Best experienced with 1024 * 768 desktop resolution.